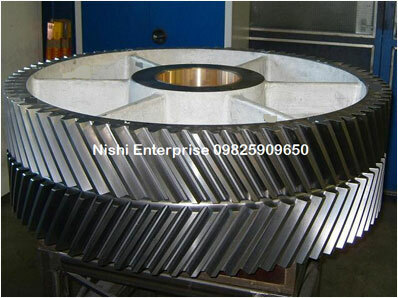 Nishi Enterprise offers herringbone gears or helical gears that come with stronger and longer teeth than most of the other types and classes of gears. As they offer greater area for surface contact on the teeth, the herringbone gears can be used for effectively carrying large and heavy loads. The helical gears that our experts design and manufacture are rather quiet during operation and lead to fewer vibrations. The gears are much similar to the spur gears apart from the fact that the teeth of the helical gears are cut at an angle to axis. Our herringbone gears are available in both left and right hand configurations. The standard versions of our herringbone gears are available with diameters up to 60 inches. The diametrical pitch can vary between 16 DP to 2 DP. The face width of these units extends up to 18 inches. The gears may have hex and flat shaft features. We also offer fully serviced custom designed herringbone gears that offer more enhanced performance for various operations. Based on the specific measurements that you are looking for, our customers can create excellent specimens of herringbone gears that can be good for your business. We use high grade handpicked materials to make sure that each and every herringbone gears that we design and manufacture are absolutely state of the art. Some of the materials that we use include alloy steel, stainless steel, aluminum, brass, carbon steel, gray cast iron, bronze and ductile iron. 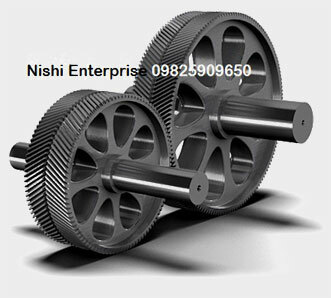 We also incorporate a number of non-metals in the production of herringbone gears. These non-metals include plastic, nylon, acetal, phenolic, Delrin, polycarbonate and polyester. Each of these materials are procured from the finest resources and do not include any impurities. This makes the herringbone gears highly reliable and efficient for a broad range of applications. We also expose all herringbone gears to diverse processes such as die forming, heat-treating, finishing and machining which make them excellent and highly functional. Once you get in touch with us for providing you with custom herringbone gears, we can also create prototypes for you that you can choose for high or low volume productions. Our products also meet all the leading global standards such as ANSI, TS, ASME and AWS.